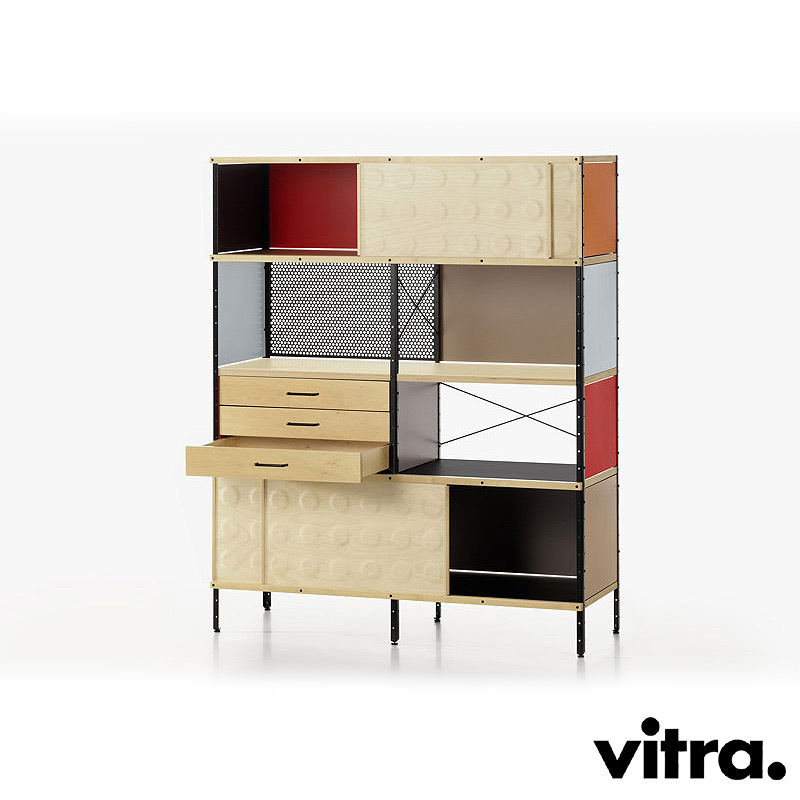 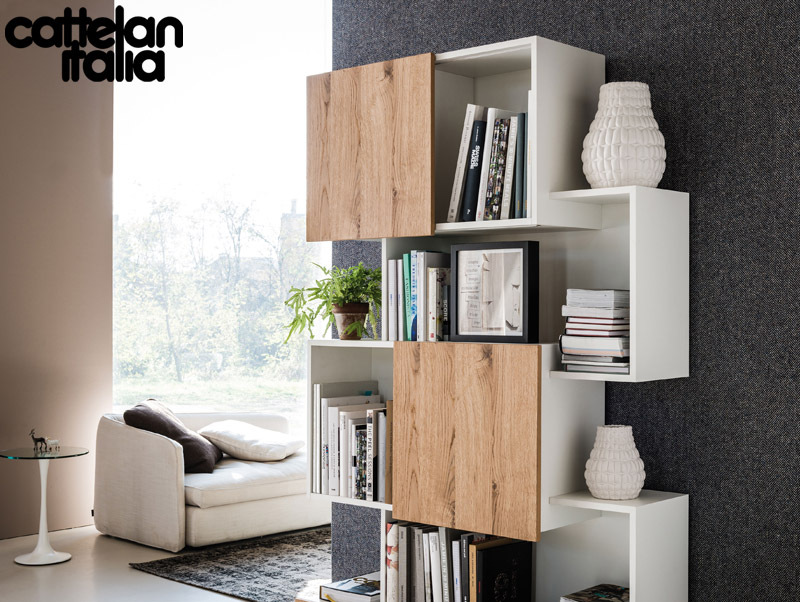 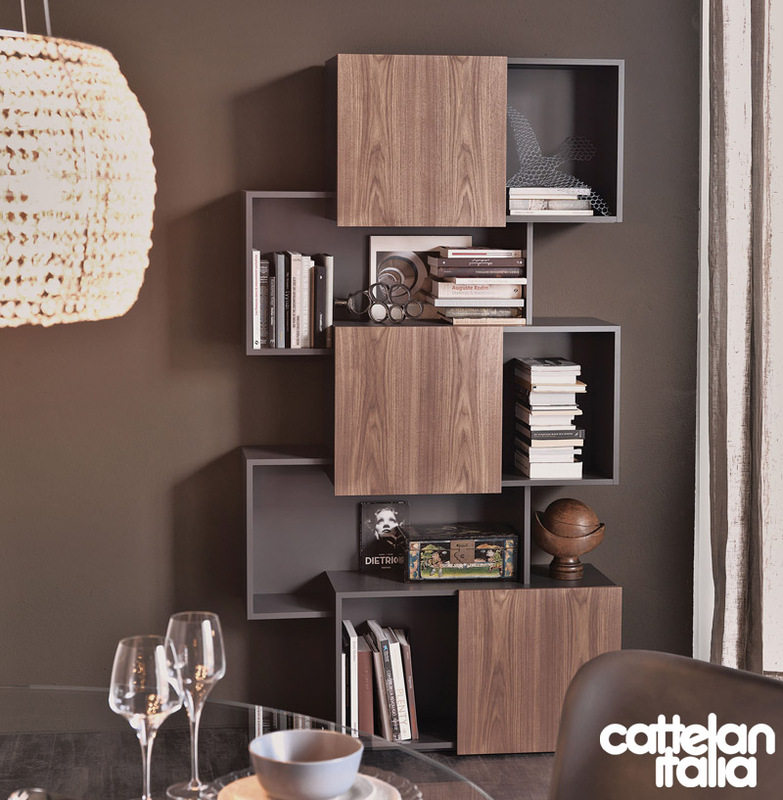 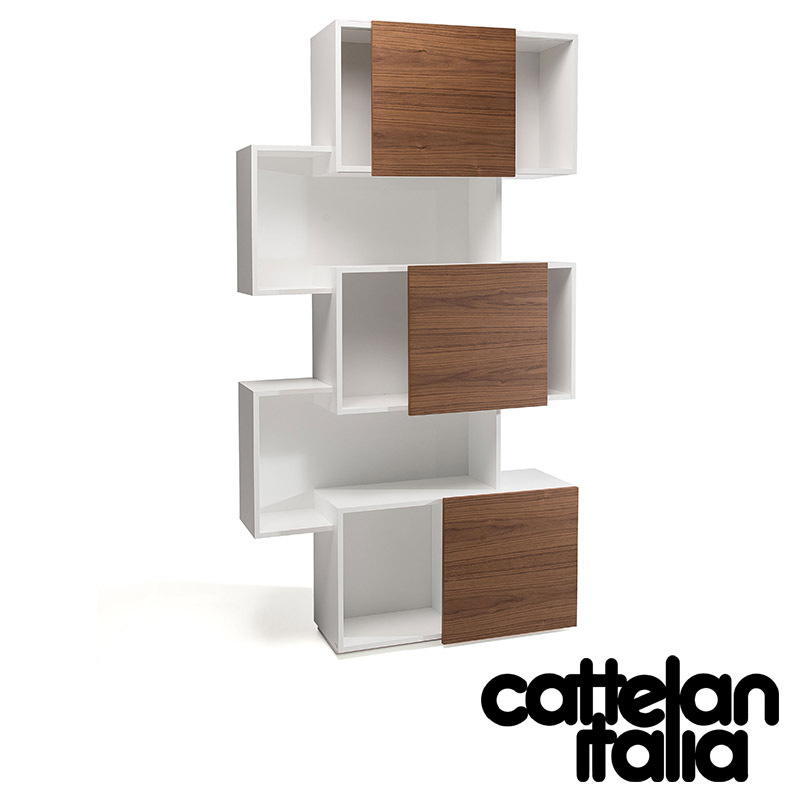 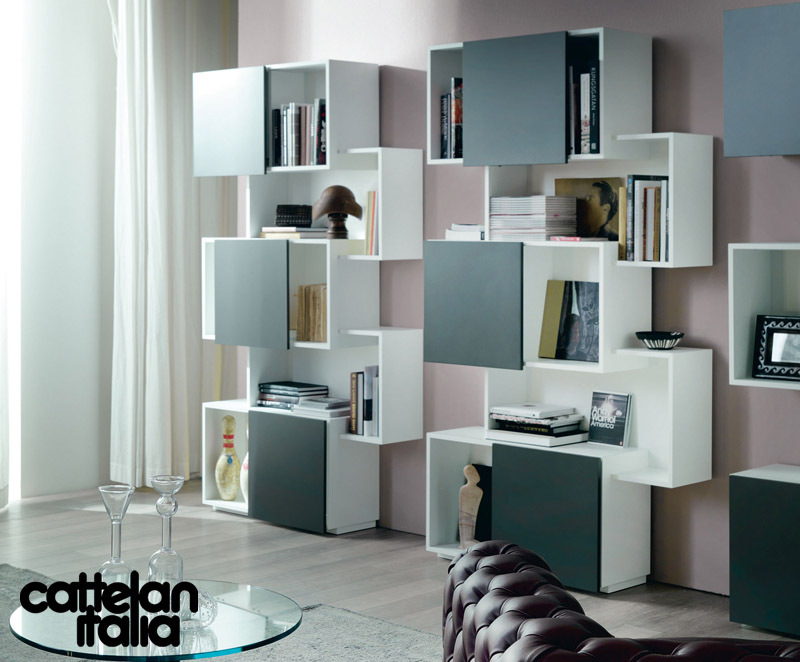 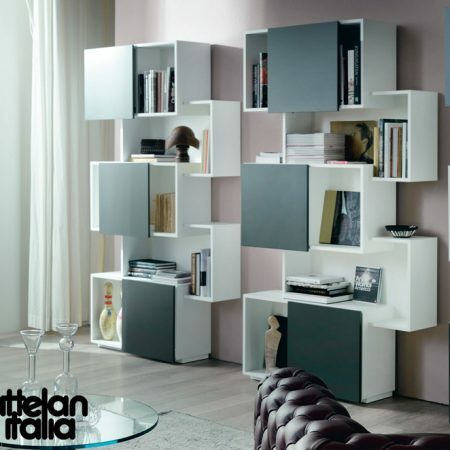 Bookshelves container with embossed white (GF71) or graphite (GF69) MDF frame, sliding doors in embossed white (GF71), graphite (GF69), grey (GF30), Canaletto walnut (NC) or natural oak (RN) MDF. 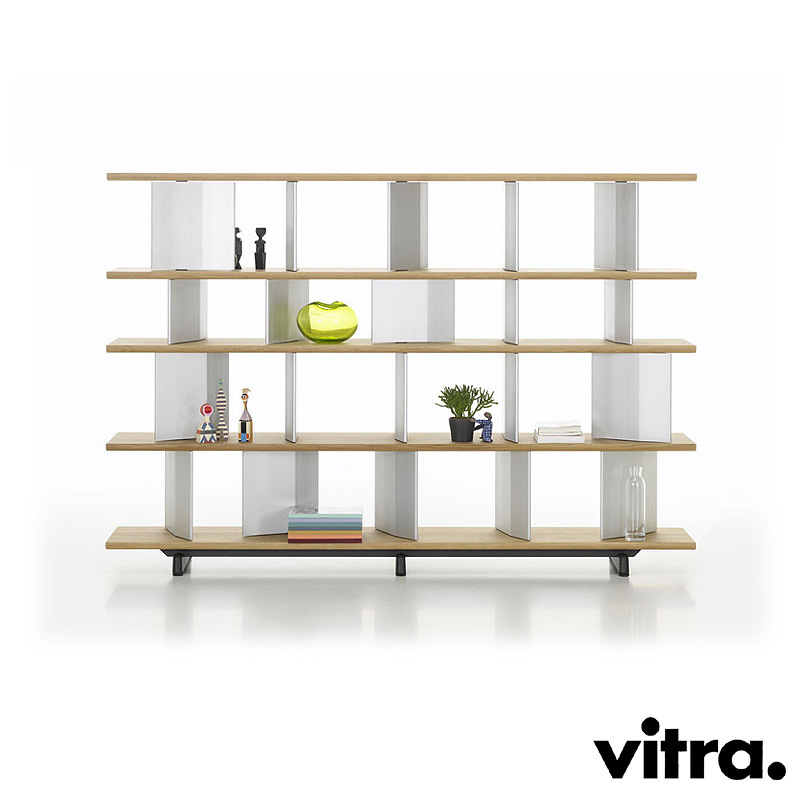 Max capacity: 60 kg spread load. 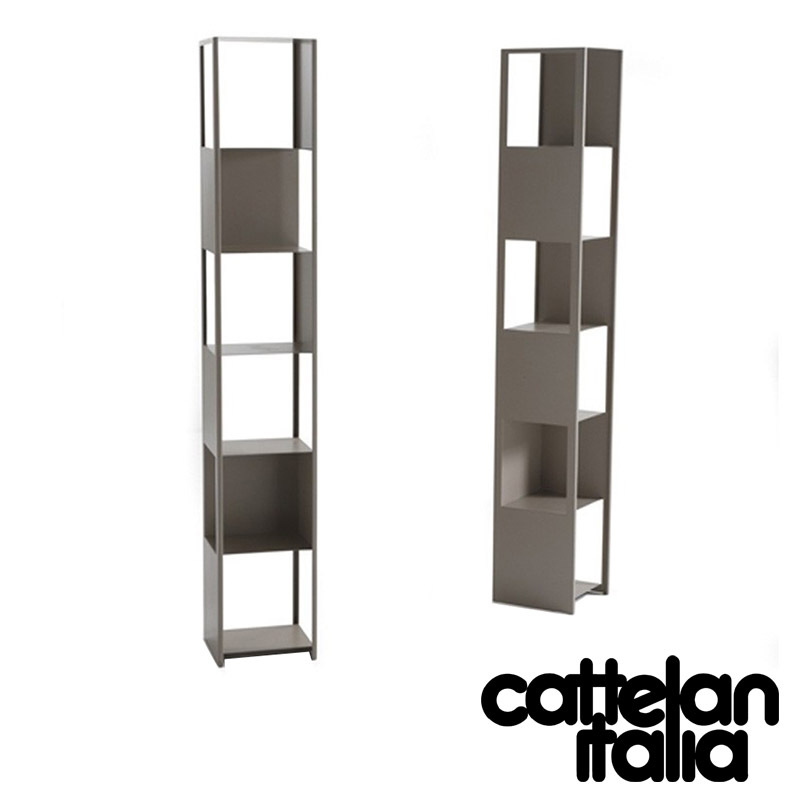 Container in MDF fine embossed white or graphite. 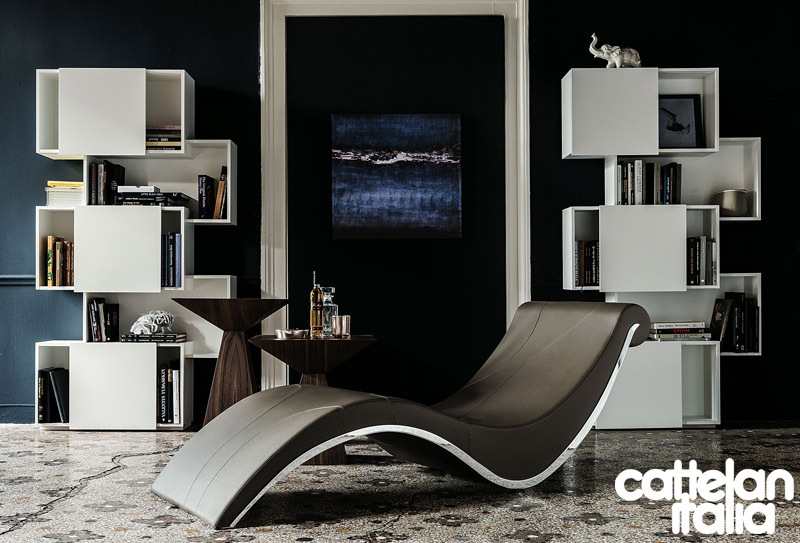 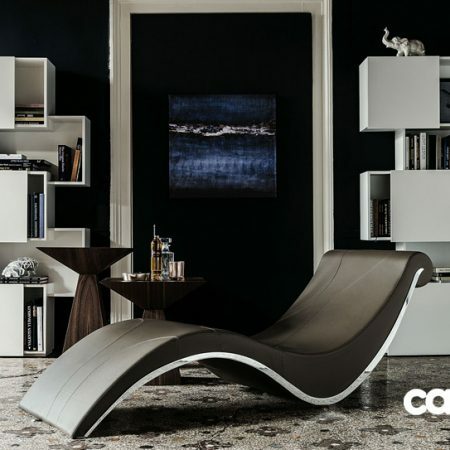 Sliding doors in embossed white, graphite, grey, Canaletto walnut or natural oak MDF.